The aim of this article is to take a look at the modern scuba diving training industry and hopefully induce some debate on what’s right, and wrong, with the current state of affairs. The goal is not to empower ‘agency bashing’, which is inevitably negative and benefits nobody. I accept that the nature of the dive industry varies in different locations and this will lead to a wide range of opinions and perspectives. I have tried to make my evaluation as ‘global’ as possible. Leisure, or recreational, scuba diving has evolved over the decades. A half-century ago it was the preserve of only those with the dedication and motivation to seek hard-to-find training, or work it all out for themselves. Certification courses were significantly longer and quite demanding. Instructors were hugely experienced and often initially learnt diving during military service. As the years have passed, the diver demographic has become more popular and ‘mass market’. 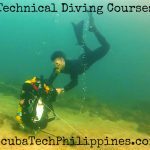 Scuba training, equipment and diving services have become extremely accessible, more economical and more accessible around the globe. Mass-market scuba agencies grew and strove to enable a wider demographic of people to experience and enjoy scuba diving. However, those agencies achieved that goal through making diver training more convenient, quicker and cheaper. 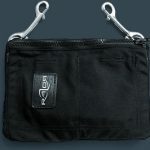 The success of shorter, less demanding, diver training courses inevitably lead to lower quality scuba diving education. That, in turn, impacts upon diver retention and involvement in the activity. It impacts negatively on dive center profitability, instructor retention, professional job satisfaction and dive professional salary expectations. The large foundation of the diver demographic is ‘experiential’ divers. These divers might conduct dive training as a one-off ‘bucket list’ experience, may not be sufficiently motivated to dive even occasionally or, otherwise, have significant restrictions on their opportunity to dive. Above them are the ‘occasional’ divers – those who do enjoy the sport, but are not sufficiently motivated to make it a part of their normal lifestyle. These might include vacation-only divers. Many will buy rudimentary scuba equipment, but it will spend months or years in storage between uses. 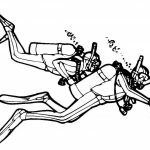 A smaller demographic are those scuba divers who seriously ‘get the diving bug’. These are the ‘hobbyist’ divers. They might typically equip themselves fully with the diving kit and have the opportunity and/or motivation to dive on a routine basis in their home location. They may venture into specialized activities, like underwater photography in a limited fashion, or even progress into teaching diving on a part-time basis. The smallest demographic is the ‘highly motivated’ divers, for whom scuba diving becomes a primary passion and a focus in their lives. These divers often specialize in niche activities, such as; technical, cave, wreck, professional/competitive underwater videography or photography and full-time dive instruction. Their disposable income and available free time may be highly focused on spending to sustain and develop their diving activities. Diving, or diving related activities, may become their primary source of earning. It is important to note that an individual may transition between levels of commitment to scuba diving as time progresses and the opportunities to dive vary. These opportunities will include their proximity to a diving area, the finances available to support their diving (at a given level), their health and their life priorities; for instance, the competing demands of family or marriages. From the dive industry perspective, we can recognize that the higher in the pyramid, the higher the financial spend, per diver, is made on training, equipment, travel and diving support services. 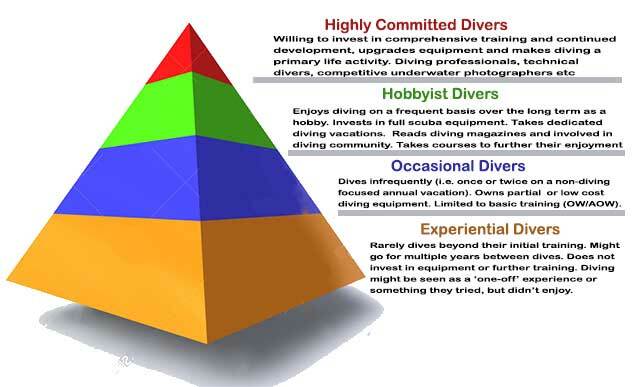 However, a higher overall income stems from the base of the pyramid – the mass market sector dealing with experiential divers at the entry-levels of diving. From the diver training agency perspective, I don’t think there can be much more value from an ‘occasional’ diver, compared to an ‘experiential’ diver. Either is limited to potentially 1-2 training courses. That means 1-2 manuals/certifications sold. There’s little or no incentive for agencies to increase the scope and quality of diver training, aimed at developing diver retention and participation, to progress more experiential divers into occasional divers. Indeed, increasing the timescale, cost and challenge of diver training is highly likely to diminish the numbers of ‘experiential’ divers signing on for entry-level courses. However, the wider scuba industry; dive shops, instructors, equipment manufacturers, diving travel agencies, resorts etc etc etc, does receive more benefit from developing the commitment of divers. The post-qualification financial spend as commitment increases is focused on equipment purchases and diving activity participation. Less so on training – until you reach the higher levels of diver participation, where the diver might start to develop long-term diving plans or ambitions. In this case, there is a distinct spike in their financial commitment to diving. What I assume, from a mass-market agency perspective, is that it is more profitable to expand the pyramid downwards than to try and develop divers upwards in the pyramid. Of course, they’d like to expand upwards, but not at the expense of increasing that profitable base level. Thus, we have a conflict; whereby improved, higher quality, training empowers diver retention and commitment, but simultaneously deters the vast majority of those who’d try diving only so long as it didn’t cost much, require much time and/or was very easy to complete training. One thing that the wider scuba industry needs to accept is that its goals might differ from that of the ‘big’ agencies. 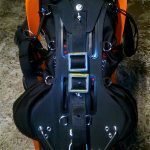 Experiential divers do little or nothing to bring profit to equipment manufacturers (beyond rental kit sold to dive centres). They do nothing to stimulate turn-over for dive travel businesses and very little to develop sustained turn-over for dive centres and instructor salaries. Where big agencies do try to stimulate commitment from divers it is from ‘experiential’ divers. Those are people who wouldn’t try diving in the first place if the financial and personal commitment were higher. They are people who inherently don’t recognize or appreciate quality dive training. Attracting further revenue from those divers is only achieved through slick sales pitches, high profile advertising and clever branding. It is achieved by forever dropping prices and requiring less commitment from students. It is achieved by instructors focusing diver training as a form of entertainment, rather than education. It is not achieved by adding any intrinsic educational quality value to their diver training experience. Mass-market scuba training agencies unashamedly target the lower demographic of diver commitment. That’s profitable for them if their turnover stems from the volume of certification cards and training materials sold. Beyond that, all responsibility for developing diver commitment is passed to the scuba industry – to the dive centres and instructors. Some agencies promote the notion of a loss-leader business model to dive centres/instructors. This is the illusion that the dive shops should sell initial training cheap to initially attract students and then recoup profitability from equipment sales, travel and vacations… and continued diver education. In the age of cheap online equipment and travel sales, the loss-leader model is a non-starter. Desperate businesses generate desperate, or even disingenuous, salespeople and this does not benefit divers or promote long-standing trust and respect between the dive centre and the customer. Continued diver education is merely a continuation of the loss-leader model because those divers you’ve attracted with cheap, convenient courses will naturally always continue to demand cheap, convenient courses throughout their continued education. There’s no expectation management from with the industry. Demand always seems to dictate supply. 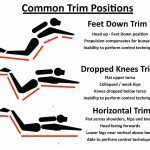 Of course, whenever we do have divers wanting to make a further commitment in their diving (rise the pyramid), the continuance of low-cost, convenient, but inevitably low-quality, training becomes a very de-motivating factor. It breeds substantial cynicism in diver training schemes, agencies and the industry. Divers who are motivated to seek further training expect to realize significant improvements in their competency and skill. Too often they do not. They may have been initially attracted to learn diving because of low costs, convenience and the need to commit little time or effort; but they are alienated from seeking further training because those same factors now lead to disappointment. There is a constant pressure to price-cut as the primary method of dive training industry competition. This doesn’t stem directly from the diving agencies, but neither do those big agencies take active steps to prevent it. The practice originates from the desperate dive centres themselves, yet it is often not what they want to do. As the prices drop, the profit-per-student decreases. The only solution seems to be attracting more students. That, in turn, demands further dropping prices and making courses quicker, easier and more convenient. Price cutting competition happen only when customer value appreciation is focused on the ‘certification cards’ they are issued; and not on the quality of training that they receive. Price competition occurs when everyone is perceived as selling the same quintessential ‘product’. That product is ‘diving licenses’, not diving training. So, the wider scuba training industry fights to attract the experiential divers. Then it struggles again to turn them into ‘occasional’ or ‘hobbyist’ divers. Scuba diving training providers are led to believe that ‘converting’ or ‘up-selling’ experiential divers into hobbyist divers is how the business should work. I’m not sure it actually works like that…. I don’t think that many divers get ‘converted’. There’s always a demographic that’d become occasional divers. A smaller demographic that’d become hobbyist divers. A small fraction that’d become highly committed divers. When I started diving, I was an ‘occasional’ diver. I loved diving from the very start, but I didn’t have the time and money to increase my commitment until several years later. 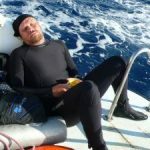 What empowered me to get more serious about diving was a divorce, not anything done by an agency or instructor. No amount of marketing, branding or instructor sales-pitch could have changed that situation. 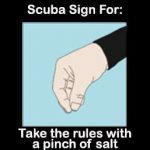 I am sure many occasional divers are like that. They are inevitably constrained by time, money and opportunity limitations. Dive centres and instructors are influenced to target experiential divers and then it’s those training providers who get the blame for not expanding the commitment of their student divers. How are they influenced? 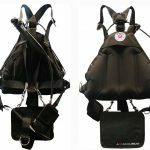 Take a look at the incentive and recognition ‘schemes’ that some agencies use to reward dive centres, instructors and instructor-trainers exclusively for high volumes of student turnover. The focus on quantity, rather than quality, of diver education provision, is as obvious as it is insidious. Of course, when the magical fails to happen and all those experiential divers don’t become hobbyist divers, then dive businesses can fail. Especially when the economy and tourism takes a dive. So, if you can’t beat them, join them. 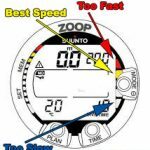 Dive centres are compelled to abandon any ideal of quality diver education and ‘go with the flow’. They start focusing all of their profitability hopes on doing anything to develop a maximum turn-over of experiential divers. Inevitably, there are winners and losers. The result is ‘successful’ sausage-factory dive centres. Big sales pitches, low prices, insubstantial training and low-quality education at every level from OW to the instructor and beyond. It results in a very high turnover of divers, allowing larger dive centres and more instructors employed. But because of the low cost-point on scuba training courses, those instructors actually earn little-to-nothing for all their hard work. Neither are they personally satisfied with their work. They became divers, and instructors, due to their love of the underwater world; but are inevitably frustrated in the quality of diver they are ‘permitted’ to produce. Their time in the scuba industry is consequently limited. Instructor retention is very low. One cannot possibly make scuba instruction a lifetime career without a sufficient income to support the long-term costs of families, children in college, saving for pensions etc. There are very, very few full-time diving instructors who make a true ‘career’ in the diving industry. The experience drain is overwhelming and benefits nobody. Of the very few instructors who maintain active teaching status beyond a couple of years, most are either part-time instructors with another primary income (full-time non-diving employment or a pension), become dive centre owners themselves or operate independently in very specialized areas of diving (technical, cave etc). The same dilution from ‘highly committed’ to ‘experiential’ diver demographics is starting to occur in technical and CCR diving. Previously niche markets exclusively consisting of ‘highly committed divers’; you now see experiential or occasional tech and CCR divers. The type of divers who rush through training levels to mixed gas decompression diving, then only get wet once or twice a year. The type of divers who view technical diving training as just another specialty card to collect. Only in the last few years have I encountered technical divers who don’t even own their own diving kit. Mass-market diving motives have reached the technical diving community and turn-over focused dive centres or instructors cannot resist the opportunity to increase their turn-over by offering a ‘wider range’ of experiences for their customers to enjoy. There are niche diving agencies, especially those with their roots in the elite cave and technical diving, which aim exclusively for the upper demographics. 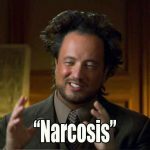 They typically attract divers who enter the system with early intentions of undertaking advanced-level, serious diving. They see value in the ‘beginning with the end in mind’ philosophy and are willing to commit heavily to training in terms of time, money and motivation. These agencies have certainly been successful in the last two decades in promoting a concept of what a ‘skilled’ scuba diver should be. Those expectations; initially evolved in the technical or cave communities have trickled down into the recreational community to a limited degree. 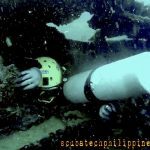 At present, I’d suggest that the limit was to those ‘hobbyist’ recreational divers who seek knowledge on internet diving forums and/or are located in areas where they may be influenced by observing cave or technical divers. More recently, there is also a new demographic of divers who attribute a ‘designer brand’ label to those cave diving born agencies. It’s more expensive, more exclusive – so, therefore, it is more attractive. They don’t particularly care about the quality of education but place a value on the diving ‘prestige’ to which they become associated. These aren’t the ‘highly committed divers’ in the traditional sense, but rather they are ‘the best that money can buy‘ divers. Needless to say, this demographic consists exclusively of divers who do not suffer financial constrictions in their investment in expensive training and equipment. So, we’ve covered the top of the pyramid (niche agencies) and the bottom of the pyramid (mass market agencies). It’s much harder to identify any agency which actively or primarily focuses on the middle of the pyramid. Where is the mid-demographics agency which provides consistently good quality training at a reasonably moderate price? Where is the training sufficient to empower sustained diver retention and not willing to lower standards to appease/attract those who probably aren’t going to stimulate turn-over beyond their initial experience? It seems to me that agencies are compelled to either focus on the elite, or the masses… and nothing in-between. I do believe that there is room in the market for a mid-level agency that focuses exclusively on hobbyist level divers. An agency that provides comprehensive initial training, along with a continuing education program that matches increasing diver commitment with increasingly robust training courses; appropriate for advancing students having higher result expectations. The alternative would be for existing ‘big’ agencies to re-model their continuing education programs beyond the entry-level. Reflecting a possibility that encouraging diver retention and investment in further training can be attributed to shaping diver training expectations. 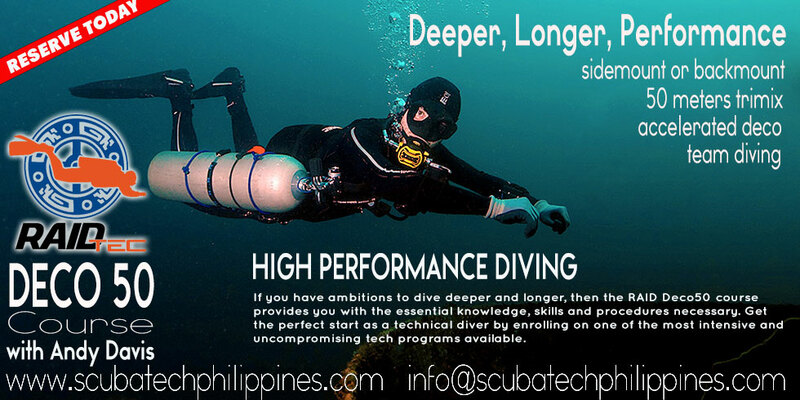 Accepting that divers who are willing and able to commit more time, effort and finances to their diving development are also likely to expect a higher level of training and consequent tangible results.